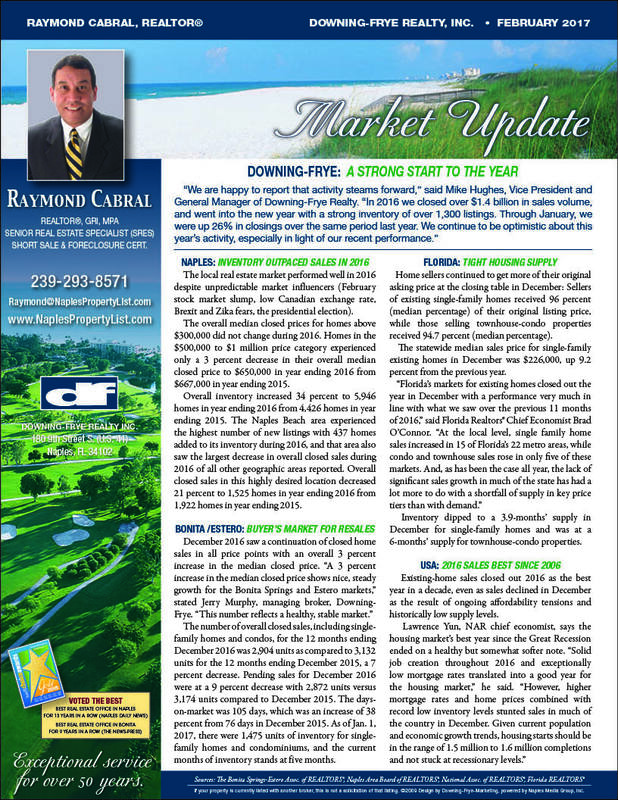 The Naples Florida Market started the year very strong. The overall closed sale was up by 6% in January. The overall closed sales and overall increase in Inventory of 34 % to 5,946 from last year 2016 indicates that we are going to have a strong season. We are seeing a buyers market right now. With favorable interested Rates we are going to see more First Time Home Buyers , moved up buyers and second home buyers get into the market.